If you’re concerned about your heart health, we can perform a Cardiac Calcium Scoring test. This life-saving test will tell you your risk for heart attack. Cardiac Calcium Scoring is performed to check for plaque or calcium buildup in the coronary arteries, which can cause heart disease. 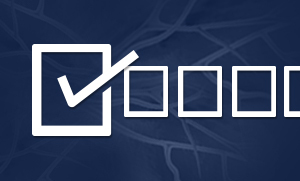 Cardiac Calcium Scoring is a simple, painless test to calculate your risk for heart disease. Using state-of-the-art computed tomography (CT) imaging, we can find out if and how much hard plaque you have in your coronary arteries. The CT machine is designed to not be claustrophobic and uses a very low dose of radiation. If you are a male over 45 or a female over 50 with risk factors for a heart attack, you should consider having a Cardiac Calcium Scoring test. Risk factors include family history, smoking, high cholesterol, hypertension, diabetes, being overweight, and not exercising enough. Do I need a physician order for this test? Yes, your doctor’s office can schedule your cardiac calcium screening at Memorial Hospital Belleville by calling (618) 257-4949. You should also contact your insurance company to make sure you will be reimbursed for this procedure. Are there any medical conditions that exclude me from having Cardiac Calcium Scoring? Yes, if you are pregnant or possibly pregnant, you may be unsuitable for Cardiac Calcium Scoring. The actual scan takes approximately 20 minutes. However, you are required to be present 15 minutes beforehand to complete your registration documentation. After the Cardiac Calcium Scoring, you are free to go about your normal activities. The results of your test will be sent to your doctor within 48 hours. Once the results have been calculated, we will send them to your referring doctor who will then discuss the results with you. Cardiac Calcium Scoring may be covered by medical insurance plans. Depending on your health insurance, prior authorization may be required. If you have questions about your benefits, please contact your insurance company. Patients are responsible for all copayments and deductibles. If you have any questions about your bill, please call the Patient Accounts Department at (618) 257-5523.